A typical SCA evaluation requires a complex end-to-end procedure: an initial leakage assessment stage, an optional dimensionality reduction phase, a signal processing step (e.g., static alignment, filtering, resampling), and finally the application of one or several attack methods. Recently, deep learning has been introduced as an alternative framework and used successfully as an all-in-one tool for SCA. 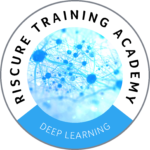 If you are interested in keeping your knowledge in synch with state-of-the-art SCA methodologies, look no further than our Deep Learning for SCA online training. The goal of this one-day workshop is to introduce you to deep learning for side channel analysis. After the workshop, you will be able to use neural networks to evaluate both private and public key crypto algorithms. Interested in the detailed course agenda? Download the flyer!